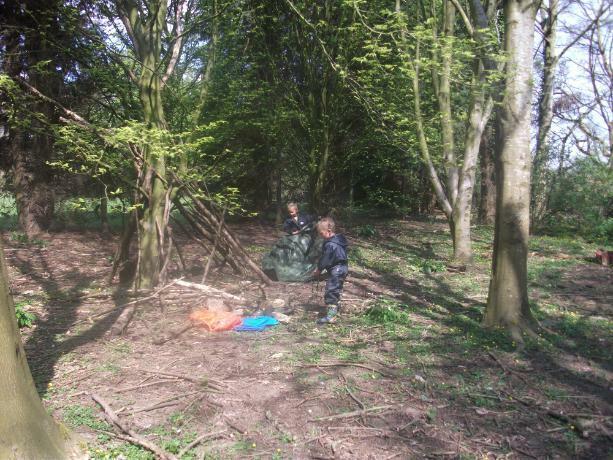 We are very lucky to have our own mature woods on site which provide us with wonderful outdoor learning opportunities for all our children. 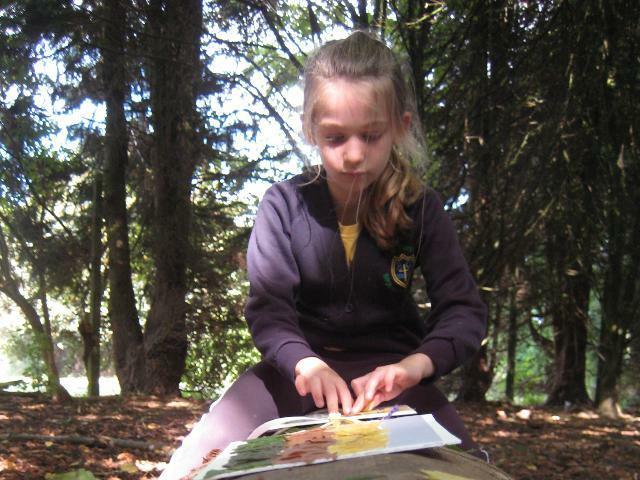 Activities cover all areas of the curriculum from literacy and numeracy to art, music and science. 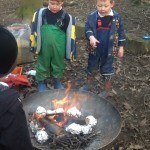 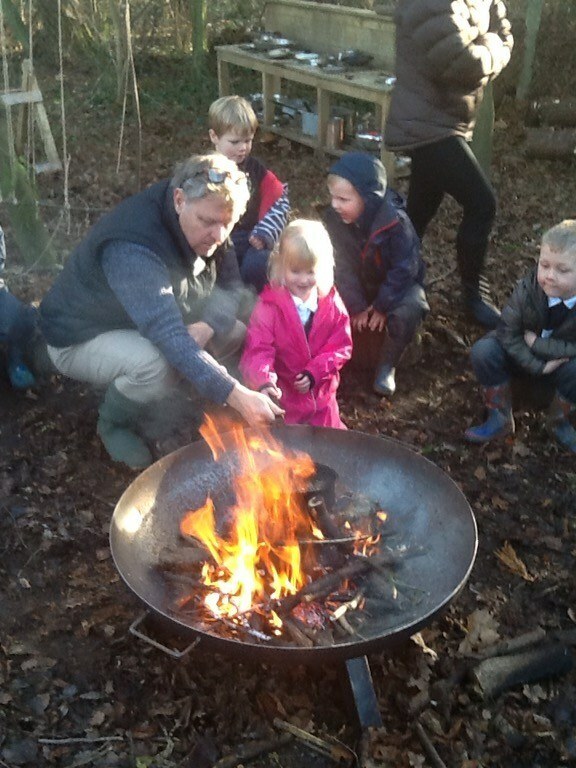 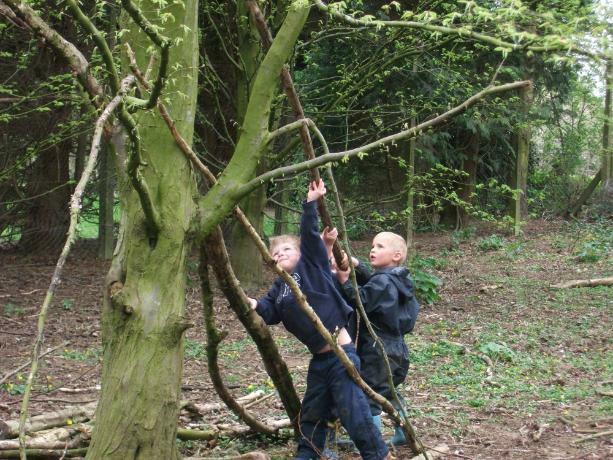 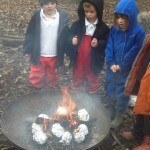 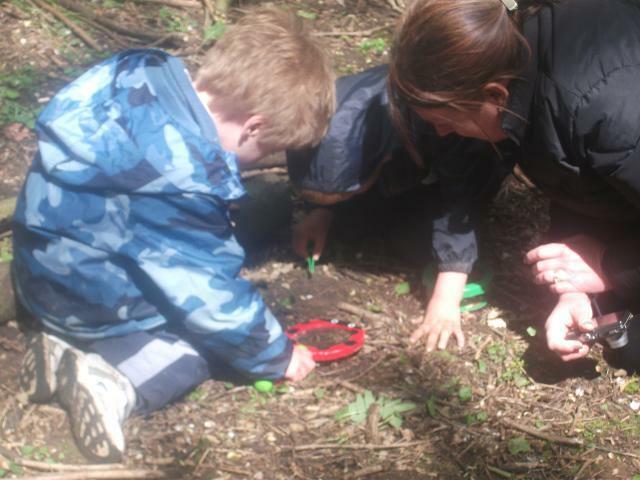 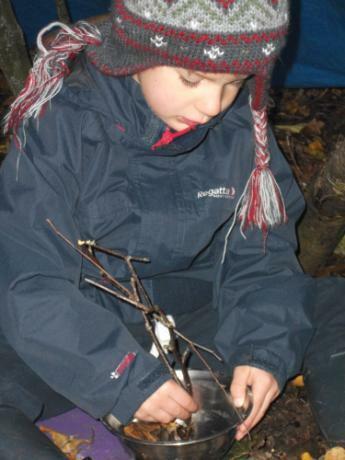 We use the woods in all weathers and throughout the year, so the children learn about the changing seasons. 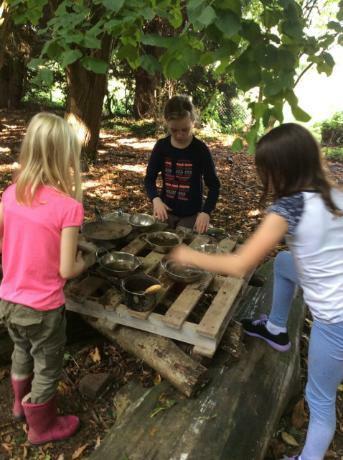 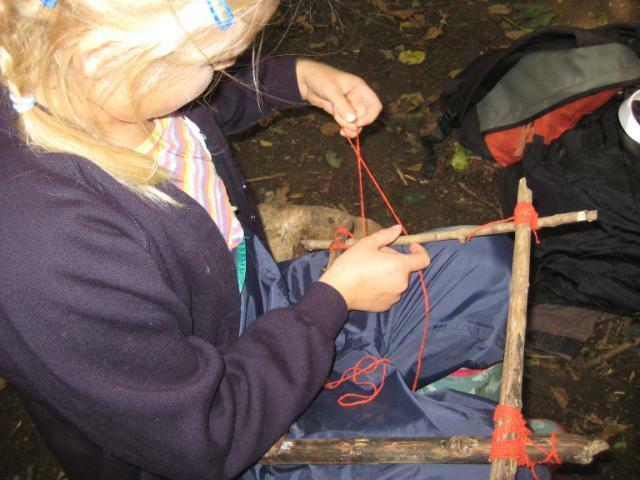 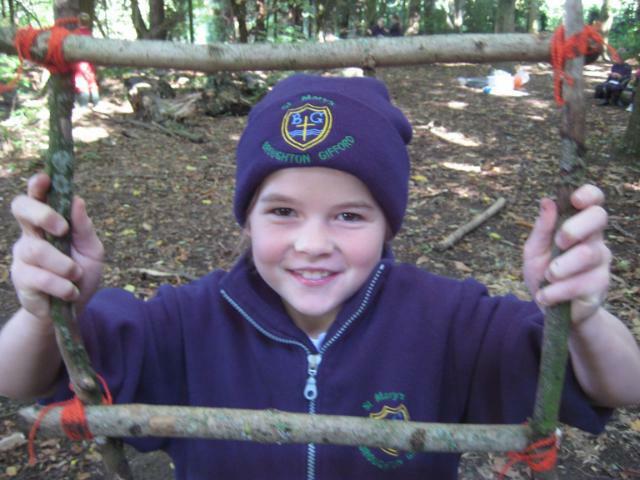 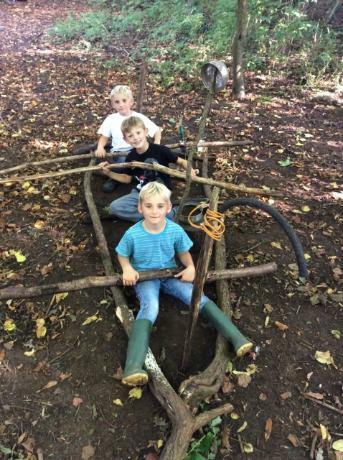 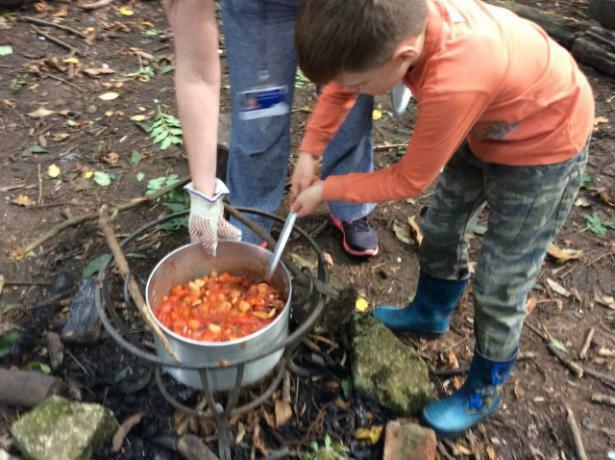 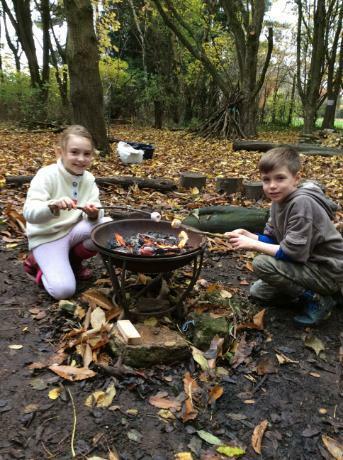 A mix of scaffolded free play and carefully planned activities allow the children to be adventurous and also get involved in exciting projects such as den-building and fire-making. 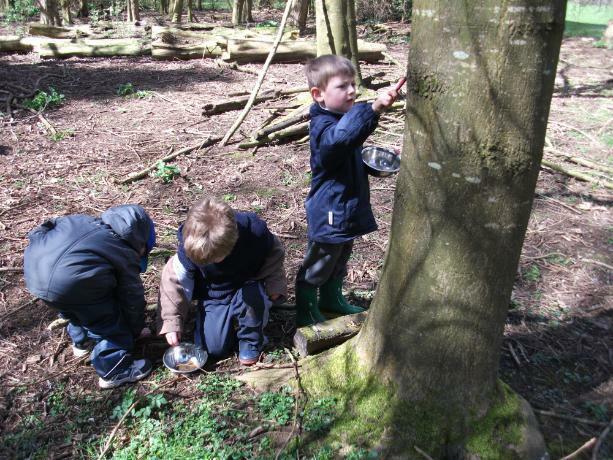 Through their investigations and experiences, the children learn to co-operate with each other and communicate more effectively. 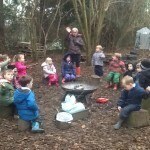 A safe outdoor environment also enables the children develop their independence, make new friendships and become more self-aware.